The current lead time for this machine is 3 weeks. 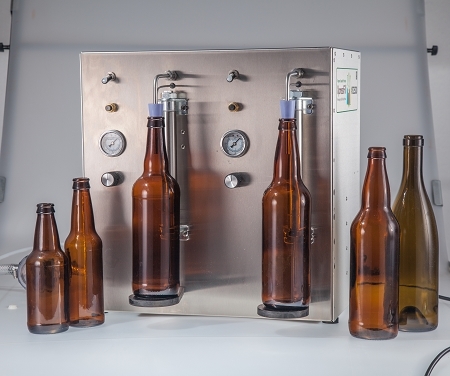 The XF2500 can easily accommodate very small to very large bottles with its adjustable bottle rests, allowing great flexibility. 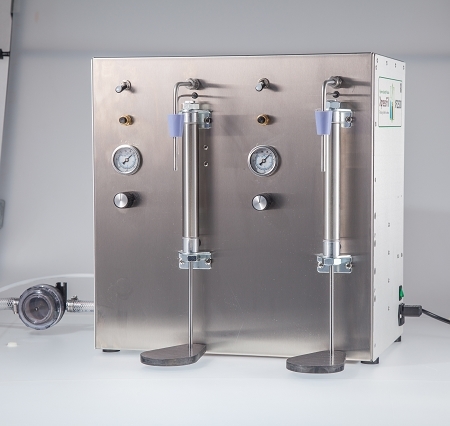 The XF2500 is suitable for carbonated beverages, and can also run non-carbonated beverages as well. 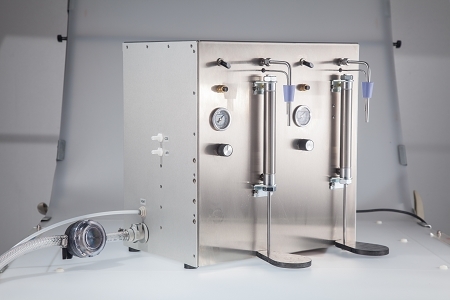 The XF2500 requires that you also have an air compressor, which is used to hold the bottle rest in place, a canister of CO2, to pressurize and carbonate your tank or keg, and a pressurized container, to allow your product to flow from high to low pressure, through the machine. Absolutely a terrific machine. We will be ordering another soon. Only drawback is we wished it filtered down a bit finer.